One task of clinical engineering is to make a decision in basic aspects like healthcare technology management. Different stages of medical equipment including acquisition, maintenance, and replacement require decision making. Therefore, various approaches are presented to guide clinical engineers how to make a decision related to healthcare technology management. Decision making is a process through which an alternative is selected among others relied on gathered information. In order to select this alternative, it should have a reasonable priority based on its weight. In decision making, there are two main approaches; Multi Criteria Decision Making (MCDM) and Decision Support System (DSS). Both of them require a set of criteria to be employed to give weights for the alternatives. In application, both of MCDM and DSS are capable of handling complex problems. By considering life cycle of medical equipment management, many stages need decision making including but not limited to acquisition, maintenance, and replacement. In this article, the pitfalls associated with these stages in terms of required decisions and influential criteria are discussed. In addition, different models for these stages are presented. Healthcare facilities assign a significant portion of their financial resources for acquisition of medical equipment. Due to the limited resources especially for the developing countries, this stage should be managed appropriately. The first step of acquisition process is to identify the purpose of acquiring the device. By analysis of purchasing requirements, they are either for providing new clinical services or improve clinical services. The improvement may be in forms of risk reduction, increasing cost-benefits, and meet specific standards. One decision that should be considered in this phase is how to estimate the priority for the list of purchasing requirements. Once the medical devices are identified, the next phase is to make tendering process in which the technical specifications of the medical devices are developed and the request for proposals is introduced. Upon tender procedure, a list of vendors is nominated. The choice of vendors that comply with technical specifications is another decision that should be made carefully. Well-selected vendor has a beneficial impact on healthcare outcomes. One methodology was conducted by Saleh et al to solve the problem of medical equipment purchasing priority. The study proposed a priority index for purchasing requests of medical equipment. 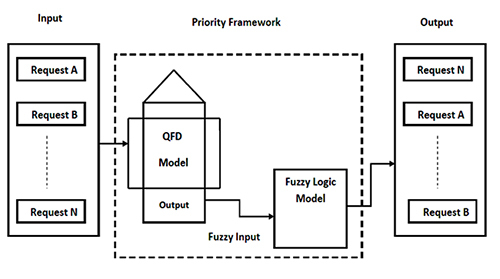 In this study, Quality Function Deployment (QFD) and fuzzy logic were integrated together to produce a framework that prioritises requests of acquisition as shown in Fig.1. The aim of QFD is to select the most significant criteria that should be considered for acquisition; while the purpose of fuzzy logic model is to classify the requests based on weights of the proposed criteria. Thus, the output is a rank of prioritised requests. The study has revealed the most significant criteria that should be considered for acquisition priority. The criteria were service assessment, technology assessment, risk evaluation, available budget, and life cycle cost analysis. Besides, other criteria could be considered such as area criticality and utilisation level. Medical equipment maintenance can be divided into two major categories; inspection and preventive maintenance (IPM), and corrective maintenance (CM) or repairs. Performance inspections ensure that equipment is operating correctly, while safety inspections ensure safe operation of equipment for both patients and operators. Preventive maintenance (PM) or planned maintenance is a core function of clinical engineering, having as its objectives the assurance of ongoing safety and performance of medical devices, and the preservation of the investment in the equipment through improved longevity. Despite its core role, the design and management of an effective PM program is not a simple matter. Maintenance prioritisation is a crucial task in healthcare systems, especially when there are more maintenance work orders than available people or resources that can handle those. Maintenance executed in a random sequence or in an ad hoc sequence could potentially not only waste the labor and resources, but also could increase risk level of some devices. Unnecessary and excessive PM could be loss-making likewise inadequate level of maintenance. Consequently, PM prioritisation, in sense, is a significant decision in maintenance management. 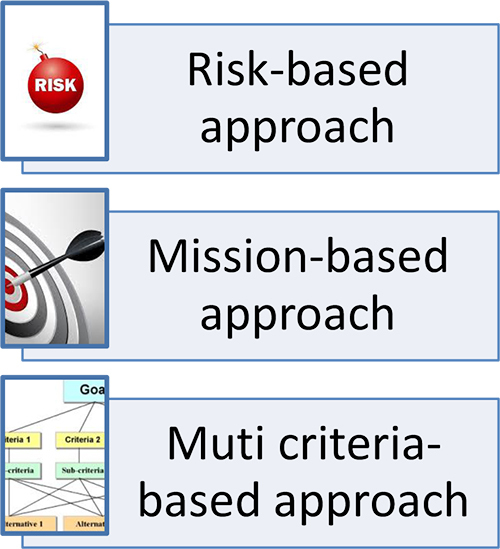 Due to literature review, the decision of PM prioritisation can be made based on three approaches; risk-based, mission-based, and multi criteria-based as shown in Fig. 2. The so-called risk-based characterisation has been in widespread use as an indicator of a device's PM needs since the Joint Commission on Accreditation of Healthcare Organizations (JCAHO) implicitly endorsed the Fennigkoh-Smith risk rating methodology in 1989 and eventually in 2004 approved it as the standard (EC 6.10) (JCAHO, 2004). Many risk based Medical Equipment Management Programs (MEMPs), including the seminal Fennigkoh-Smith method and its variations, have been proposed and are currently in use. A common theme in these methods is that a single measure of a number of different risks is defined and used to guide safety and preventive maintenance activities. This number is calculated for each device using three factors; equipment function, physical risk, and equipment maintenance requirements. 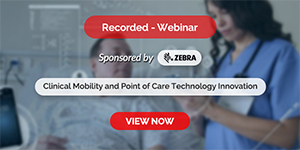 Mission criticality or operational impact describes the extent to which a device is crucial to the care delivery process of a hospital. For example, Electrocardiograph (ECG) device is critical and essential device for cardiology department, but for other departments such as outpatients is necessary. 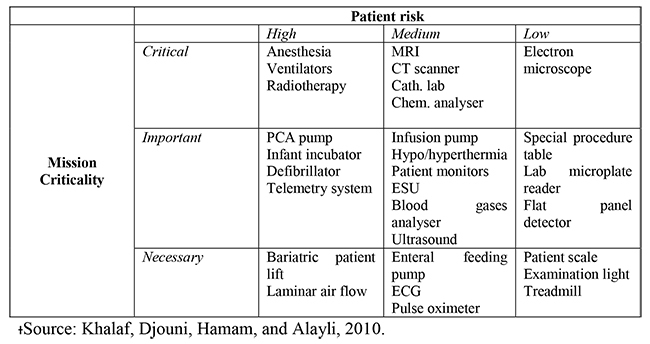 In 2010, a classification of medical devices is suggested as shown in Table 1 which assorts medical equipment into three groups; critical, important, and necessary according to their mission criticality. By taking into account mission criticality group of each device, maintenance priority is assigned. Different models have been developed for appropriate maintenance strategy for medical equipment utilising different approaches. One study has adopted multi-criteria approach to prioritise maintenance schedule for a list of medical devices. Analytical hierarchy process (AHP) has been employed for this purpose. By using principals of AHP, the goal was prioritisation of medical equipment, the second level was the criteria and sub-criteria, and the third level was the alternatives (medical devices). The steps of the proposed model were to identify criteria and sub criteria, determine their weights, determine intensities for each criterion, evaluate alternatives with respect to the criterion, calculate device criticality score, and finally order devices according to their criticality scores. The main criteria were function, mission criticality, age, risk, recalls and hazards alerts, and maintenance requirements. The replacement/scrapping decision is an important feature of technology management when costs-benefits ratio goes to negative. In fact, most of hospital planning process tends to focus on current or short-term needs with little or no consideration of future replacement of medical equipment. In application, the medical equipment that poses no clinical or safety risks to patients or staff, it was rarely replaced at the end of its recommended useful life. However ongoing use of equipment that has exceeded its life expectancy without planning for its eventual replacement increases the risk of disruptions to service delivery. Adopted approaches for replacement/scrapping decision making are either qualitative or quantitative. In qualitative approach, a combination of different criteria is regarded to approve replacement decision; meanwhile in quantitative approach, a mathematical model is developed to determine replacement thresholds that lead to a realistic replacement decision. Fault tree analysis has been employed as a quantitative approach for the replacement stage. The model used a set of technical, financial, and safety criteria to measure the impact of these criteria on replacement decision as shown in Fig. 4. In this work, hazards and alerts were considered as a safety criterion, while the costs and unavailability of medical equipment were considered as financial criteria. For technical criteria, the useful life ratio, and vendor support for first time were regarded. The outcome of the proposed model was a score which reflects the actual status of the device. Upon this score, the device was ranked. Four classes of priority index; replacement, test, surveillance, and keep were proposed for the investigated devices. Fig.4. 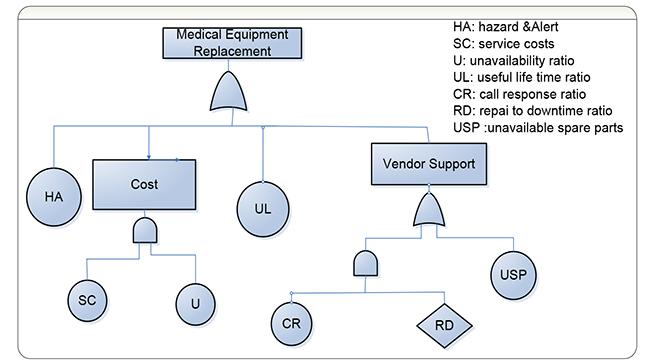 A fault tree analysis model for replacement of medical equipment using a set of criteria. 1. Habiba, U., and Asghar, S., “A Survey on Multi-Criteria Decision Making Approaches”, Proceedings of International Conference on Emerging Technologies, 2009, pp. 321-325. 2. Malykh, V., L., and Rudetskiy, S., V., “Approaches to Medical Decision-Making Based on Big Clinical Data”, Journal of Healthcare Engineering, Vol. 2018, 2018, doi: 10.1155/2018/3917659. 4. Hyman, W., A., “The Theory and Practice of Preventive Maintenance”, Journal of Clinical Engineering, Vol. 28, No. 1, 2003, pp.31-36. 5. Ni, J., and Jin, X., “Decision Support Systems for Effective Maintenance Operations”, CIRP Annals – Manufacturing Technology, Vol. 6, No. 1, 2012, pp. 411-414. 6. Ridgeway, M., “Analyzing Planned Maintenance (PM) Inspection Data by Failure Mode and Effect Analysis Methodology”, Biomedical Instrumentation & Technology, Vol. 37, No. 3, 2003, pp. 167-179. 7. Taghipour, S., “Reliability and Maintenance of Medical Devices”, PH.D Thesis, University of Toronto, Toronto, Canada, 2011. 8. Rice, W. P., “Medical Device Risk Based Evaluation and Maintenance Using Fault Tree Analysis”, Biomedical Instrumentation & Technology, Vol. 41, No. 1, 2007, pp. 76-82. 9. Tawfik, B., Ouda, B. K., and Abd Elsamad, Y. M., “A Fuzzy Logic Model for Medical Equipment Risk Classification”, Journal of Clinical Engineering, Vol. 38, No.4, 2013, pp. 185-190. 10. Saleh, N., Sharawi, A., Abdel Wahed, M., and Balestra, G., “A Coneptual Priority Index for Purchasing Medical Equipment in Hospitals”, Journal of Clinical Engineering, Vol. 40, No.3, 2015, pp. E1-E6. 11. Khalaf, A., Djouni, K., Hamam, Y., and Alayli, Y., “Evidence-Based Mathematical Maintenance Model for Medical Equipment”, Proceedings of the IEEE International Conference on Electronic Devices, Systems and Applications, (ICEDSA2010), Malaysia, 2010, pp. 222-226. 12. Costa, C.A.B., Carnero, M.C., and Oliveira, M.D., “A Multi-Criteria Model for Auditing A Predictive Maintenance Programme”, European Journal of Operational Research, Vol. 217, No, 2, 2012, pp. 381-393. 13. Cameron, J. W., “Managing Medical Equipment in Public Hospitals”, Auditor General Victoria Report No. 9. State of Victoria, Australia, Mar., 2003. 14. Dyro, J., “Clinical Engineering Handbook”, Elsevier Press, 2004. 15. Ouda, B. K., Mohamed, A.S., and Saleh, N., “A Simple Quantitative Replacement Model for Replacement of Medical Equipment Proposed for Developing Countries”, Proceedings of the 5th Cairo International Biomedical Engineering Conference, Cairo, Egypt, Dec. 2010, pp. 188-191. 16. 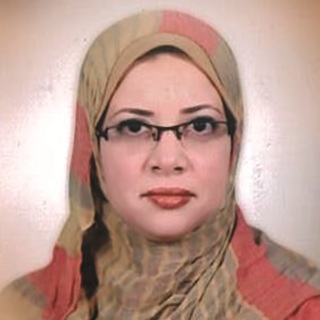 Ouda, B. K., Mohamed, A.S., and Saleh, N., “The Effect of Useful life and Vendor Performance on Replacement Decision of Medical Equipment”, Proceedings of the 6th Cairo International Biomedical Engineering Conference (CIBEC), Cairo, Egypt, Dec. 2012, pp. 114-117. Neven Saleh is an assistant professor at biomedical engineering department in El-Shorouk Higher Institute of Engineering, Egypt. She comes with over sixteen years of experience in healthcare technology management. She took place in medical equipment management researches in Italian and Turkish hospitals. Also, she has an experience in healthcare quality assurance.